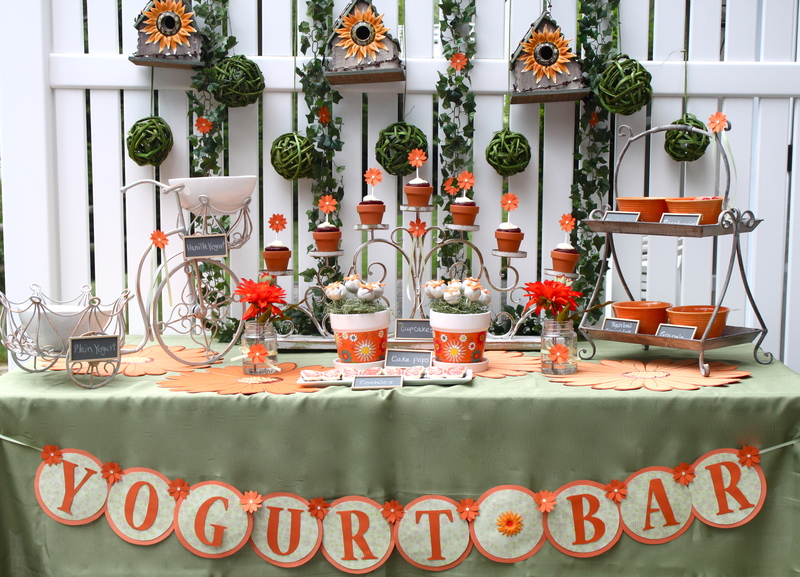 Check out this shabby chic garden-themed yogurt bar picnic with the volume turned up! 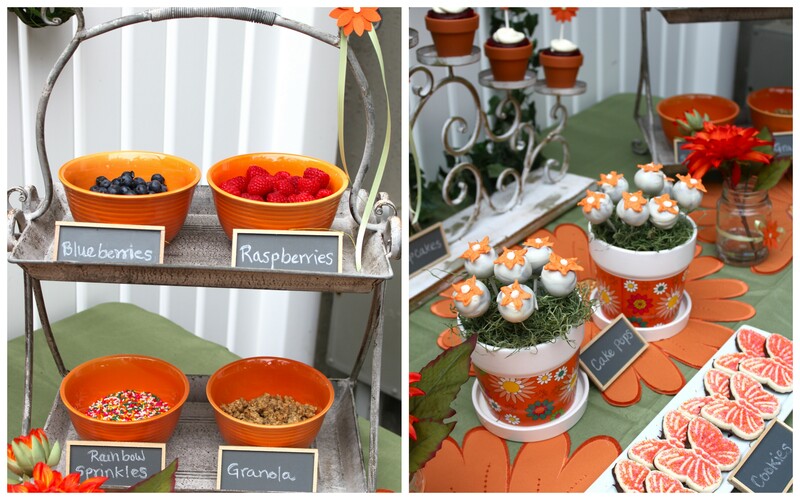 It was a casual play-date party where kids celebrated summer and had some healthy and some not so healthy treats (I had to include my famous red velvet cupcakes and cakepops to the yogurt bar)! 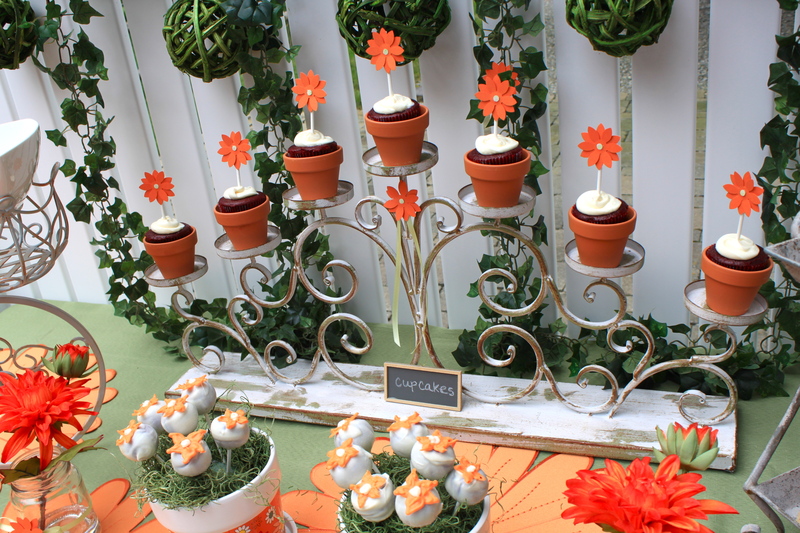 If you think, we needed an actual garden, you couldn’t be more wrong! 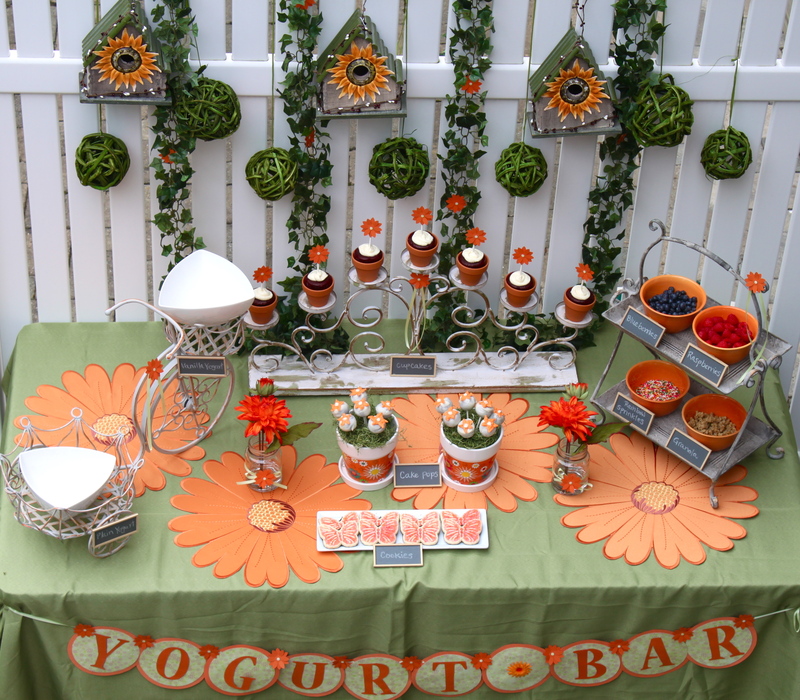 The flowers, the treats, the decorations… everything was designed for maximum visual impact! 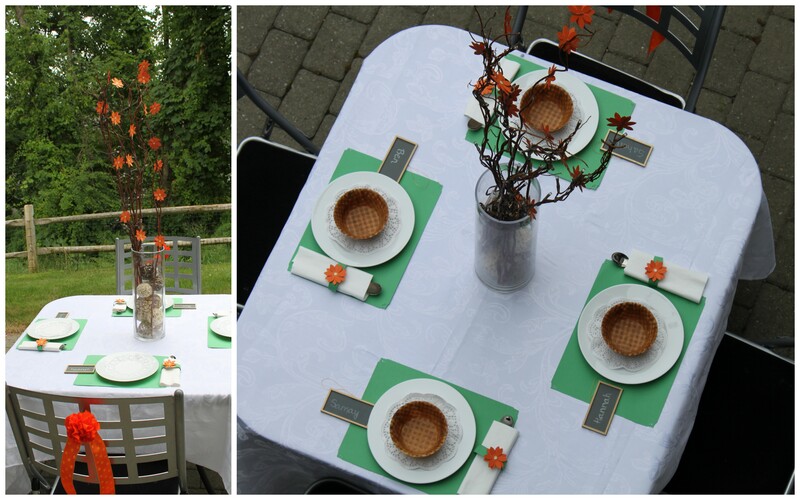 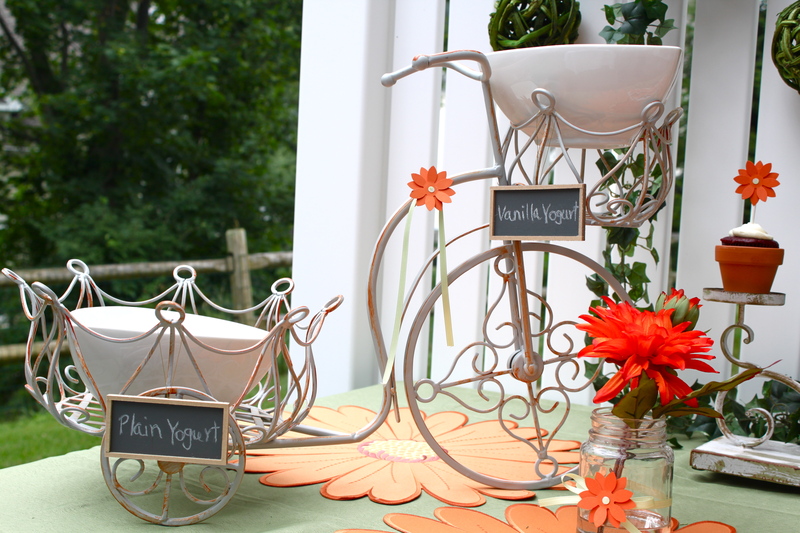 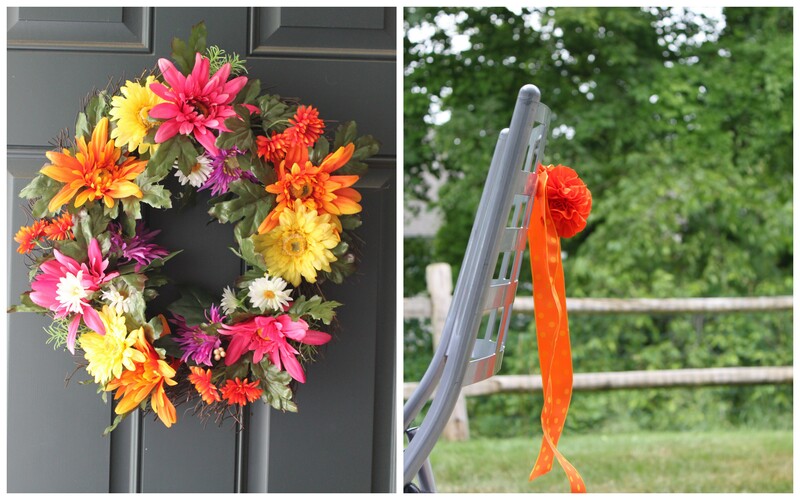 We can easily recycle the concept for a bridal shower, baby shower or even a birthday party.